The Alta Chutes at The Remarkables Ski Area provided a picture perfect venue for today’s finals of The North Face® Freeski Open of New Zealand Big Mountain. 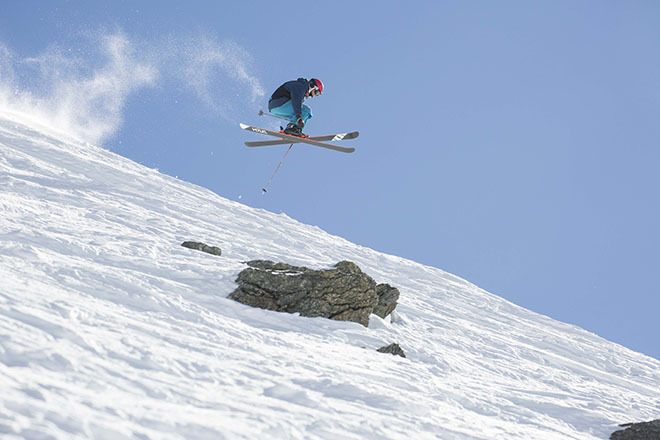 With an international line up including Freeride World Tour podium winners, Olympians and a host of young up and coming talent the day was set for action. 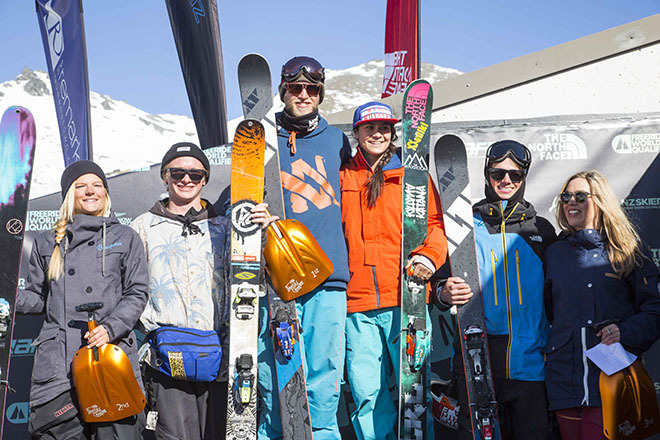 The Kiwis claimed the competition as their own, taking out five of the six podium spots with Charlie Lyons and Janina Kuzma the standout performers. 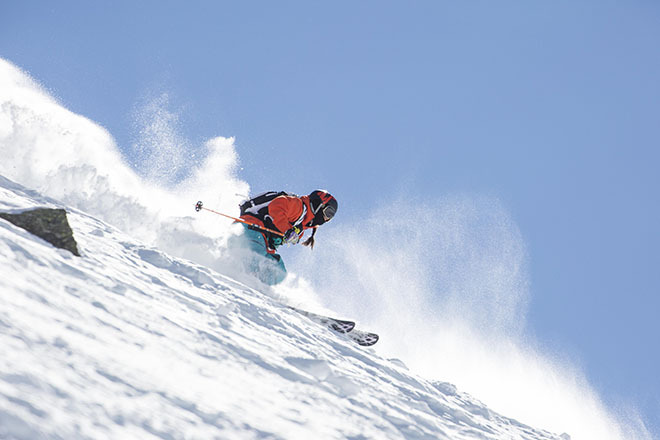 The North Face® Freeski Open is classified as a 3-star Freeride World Tour Qualifying (FWQ) event and has been a springboard for NZ as well as international riders to qualify for the Freeride World Tour (FWT). Charlie Lyons has competed on the FWT for the past two season while Janina Kuzma took time out from the tour this year to focus on the Olympic discipline of halfpipe and placed fifth in that discipline at the Sochi Games. She will return to FWT competition for the upcoming northern hemisphere season. Today’s start list comprised seven female and 21 male competitors each with only one chance to put down their best run on the steep and exposed terrain. In Big Mountain competition scores are judged on overall impression with specific focus on line choice, air, style, fluidity, control and technique. Janina’s run went exactly as she planned it, linking creative moves, showing strong and aggressive technique and finishing with huge air in her trademark style. “I’m really glad I stomped my run, now I’m feeling excited for the northern hemisphere season,” she said. 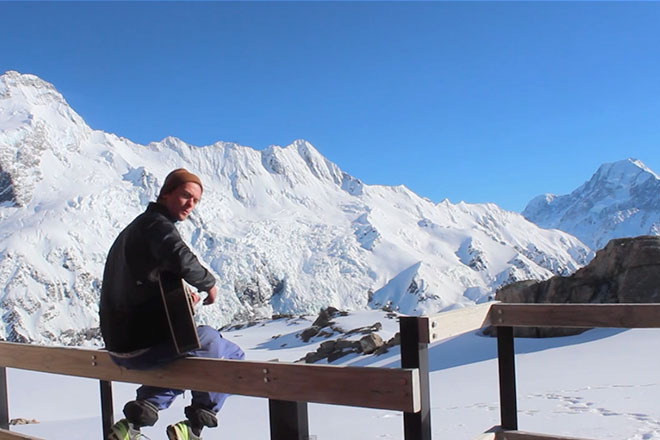 Austria’s Birgit Ertl has been enjoying a successful competitive season, winning the K2 Big Mountain CHILL Series last month and taking out second place at the NZ Open today. 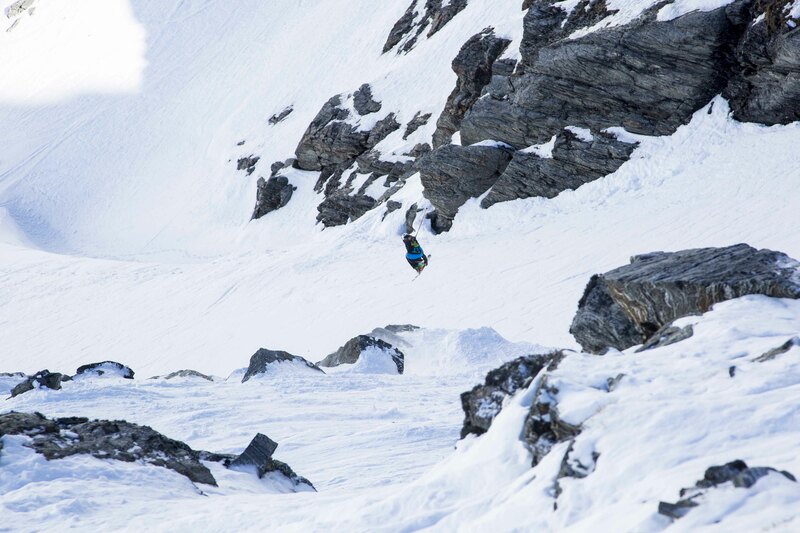 Birgit skied a fast confident line down the main couloir, taking two good airs and landing perfectly. “I’m just so excited to make the finals, my run today what exactly what I wanted,” she said. Anna Smoothy placed third in the women’s field, skiing a fluid, aggressive line and making a last minute call to drop a final cliff face having watch Janina Kuzma tackle it first. The men’s competition saw traditional big mountain skiing mixed in with a distinctive element of park skiing introduced by the likes of Jossi Wells and Taylor Seaton (USA). Had it not been for a crashed landing on his final 720, Seaton would have been a serious contender for the podium to back up his win in last week’s NZ Freeski Open Halfpipe. While Jossi’s creative run saw him finish fifth overall to go with his third place finish in the Slopestyle and Halfpipe. However, today was Charlie Lyon’s turn to top the podium and finally nail down the victory which has eluded him for the past four years. 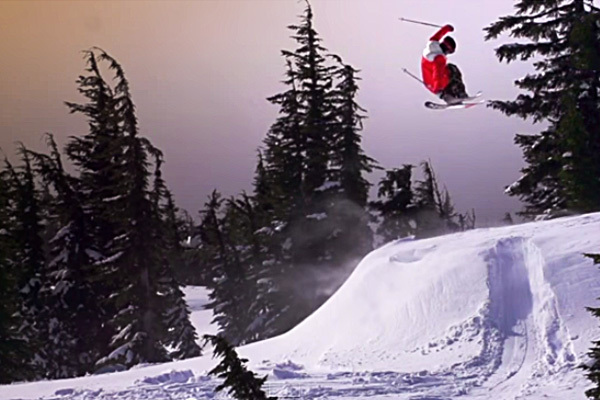 Charlie opted to ski the less exposed terrain but made sure it counted by hitting large features with a lot of consequence. His huge side air 360 and massive transfer were definite crowd pleasers and more importantly, impressed the judges. Hank Bilous’s huge drop off the final cliff feature was enough to make his mother’s heart miss a beat as she watched on from the bottom of the course. “It was a bit too big,” Hank admitted after the fact, “but I’m pleased it came together.” The judges were pleased too and awarded him the second podium spot in the men’s competition. 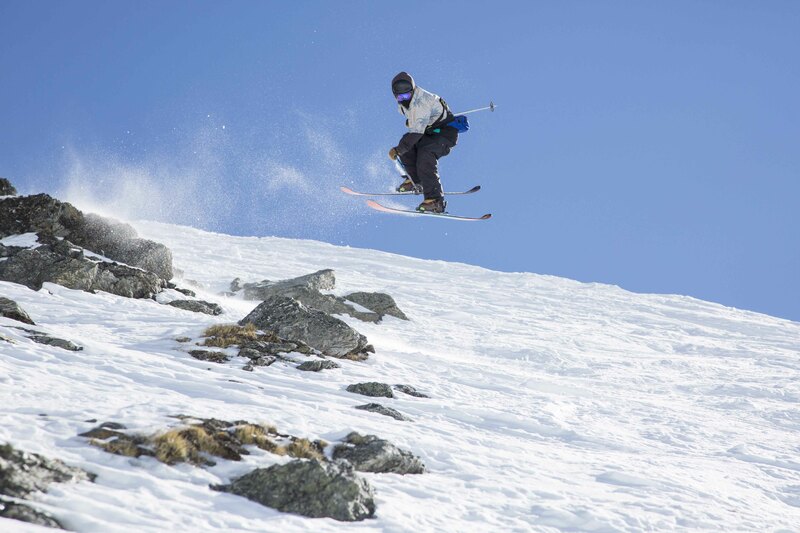 The huge final cliff drop has become a favourite feature for competitors in The North Face® Freeski Open of New Zealand Big Mountain. Previously nicknamed ‘Old Faithful’, a call was made by today’s competitors to have it renamed “Hank Time”. Fraser McDougall had to wait almost until last to take his turn on the course but the wait was worth it. Fraser skied the fastest line of the day and demonstrated strong big mountain skills with almost perfect control and technique. I’m not known for stomping my landings,” he commented. In the past three years of the NZ Open he has sent big airs but never landed. Today was his day. With the landing safely in the bag, the third podium spot was his.